Put your drive in the little fairway "hole" near the bend in the fairway. Playing this way, it's very important to stay in the fairway since it can be hard to reach the green in 2 if you put your drive in the rough or bunker. 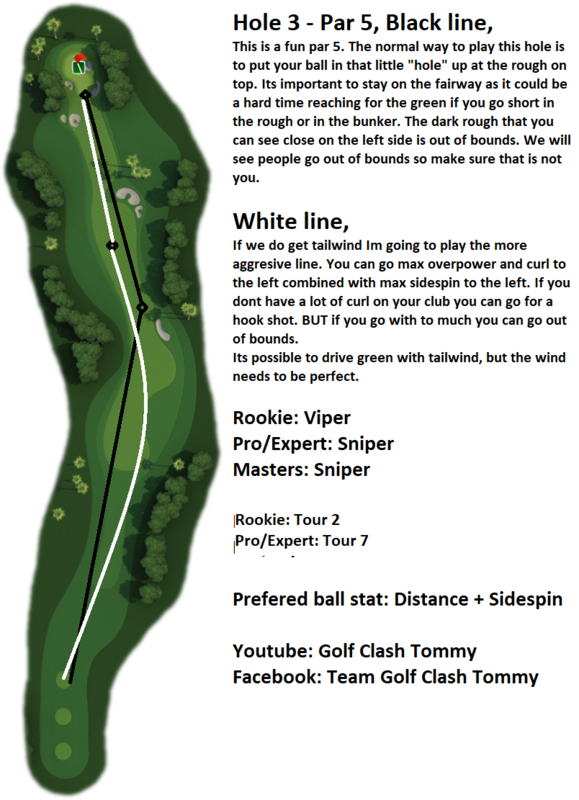 The dark rough close to the fairway on the left is out of bounds so be sure to avoid it. With tailwind you can take a more aggressive line. Use max overpower, max left curl and max left sidespin. If you don't have a lot of curl on your driver you can use a hook shot but you can bring the OB on the left into play. With the perfect tailwind, you can land your drive on the green.